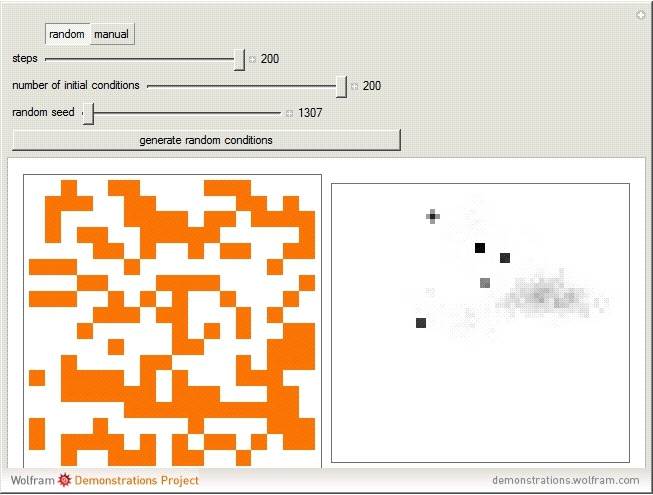 This Demonstration simulates the Game of Life based on either coordinates input by you or random initial coordinates. With "manual" selected, you can click cells in the grid on the left. 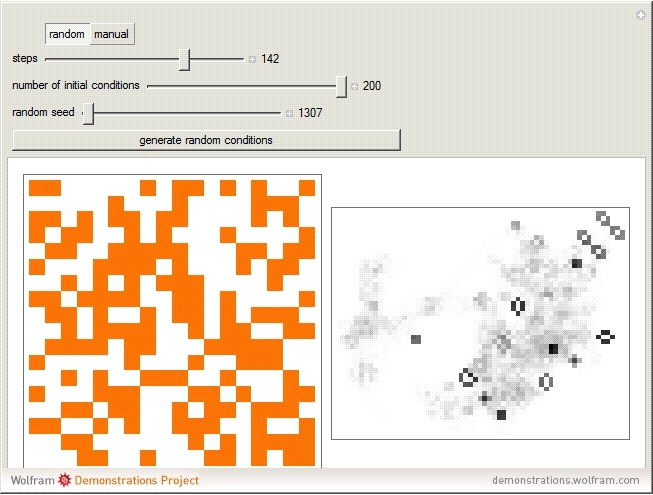 With "random" selected, random coordinates are generated. Use the "steps" slider to determine the number of steps that the simulation takes. 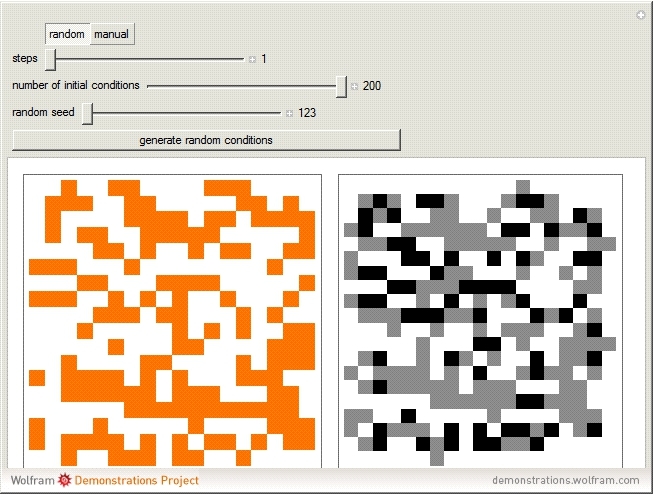 "Game of Life with Random Initial Conditions"